In 2008, the Genesis was revealed to the world with a plan to spearhead the crowded luxury vehicle market. A segment that is full of competition and mainly dominated by the Germans, but after my experience with the Korean manufacturer I believe they have been able to hold their own in this space. Impressive, high quality and comfortable, saying that based on having spent a lot of time in some of the class leaders from Lexus, Mercedes and so on. 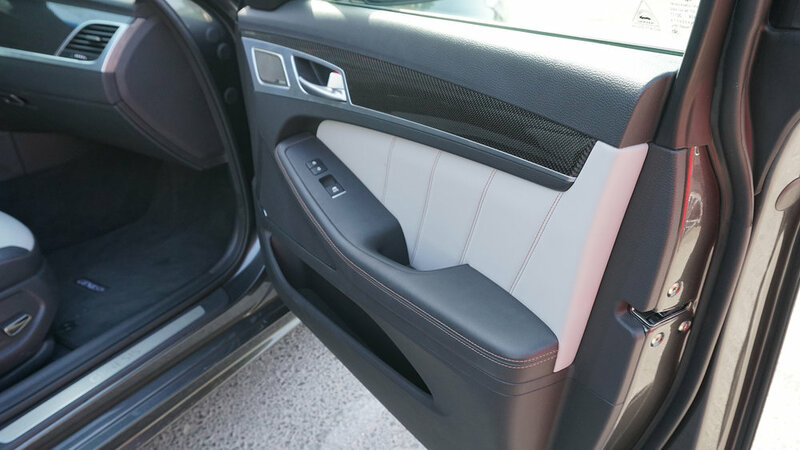 The interior is well executed, easy on the eye and everything has been ergonomically designed. Everything is well laid out and easy to reach as it should be. There isn’t a vast array of complicated buttons in the center console, but yet that doesn’t mean there isn’t much the Genesis offers. It still has proximity sensors on all sides of the vehicle, 360 degree camera, lane change alert, adaptive cruise control and a long still of stuff you expect from top luxury vehicles. But what makes the whole package more appealing, you can have one of these with a decent amount of options for the same price as a basic level optioned competitor, some food for thought there! The suspension on the G80 sport is ready for anything you want to throw at it. Though I found myself wanted to waft along smoothly and quietly into the night rather than push it to the limits. There’s a character about this car that’s relaxing and makes you want to wind down. However if do want to do a bit of spirited driving, the G80 can handle it with easy, it’s very adaptive and up to the task. The seats have tons of adjustments to the positioning, same with the steering and so on. You can really get the driving positon spot on to how you like it. Or relax and recline with the heated or cooled seats on when you want to just go from A to B in a gentle manner. The G80 sport is leaving us with a smile on our faces and it really is a perfect blend of a luxury vehicle with the right amount of sportiness from to handling to comfort. A truly perfect driving experience.